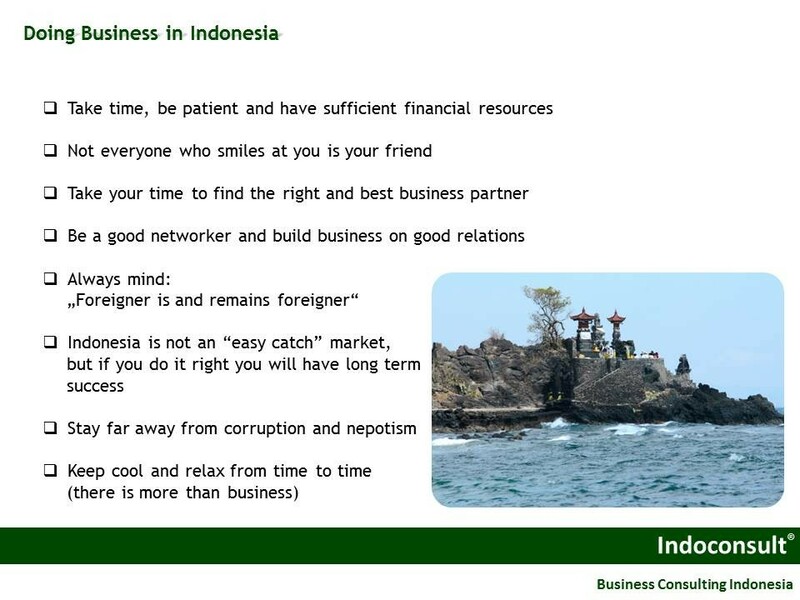 Indonesia is a country with good opportunities for doing business. The economy is growing over the last decade with a GDP of 6-7%. 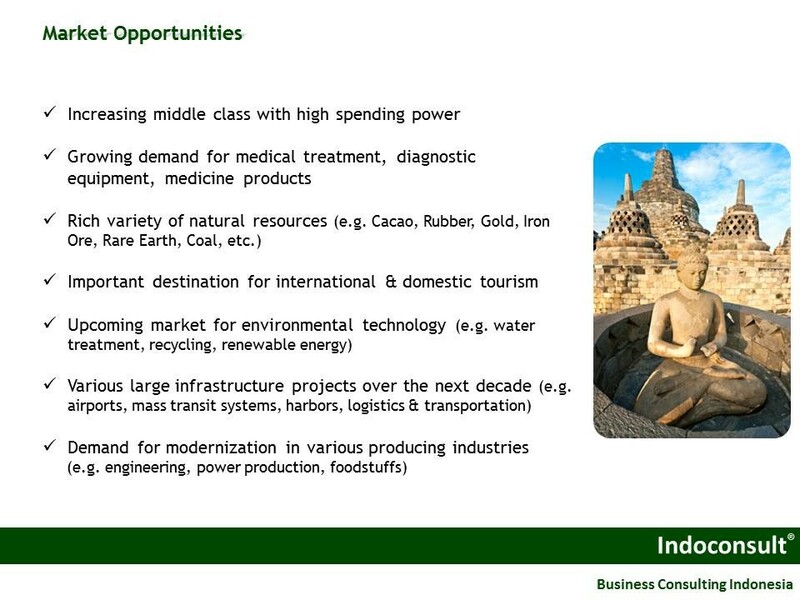 Investment climate and chances for foreign investors are improving and the economic outlook is promising. 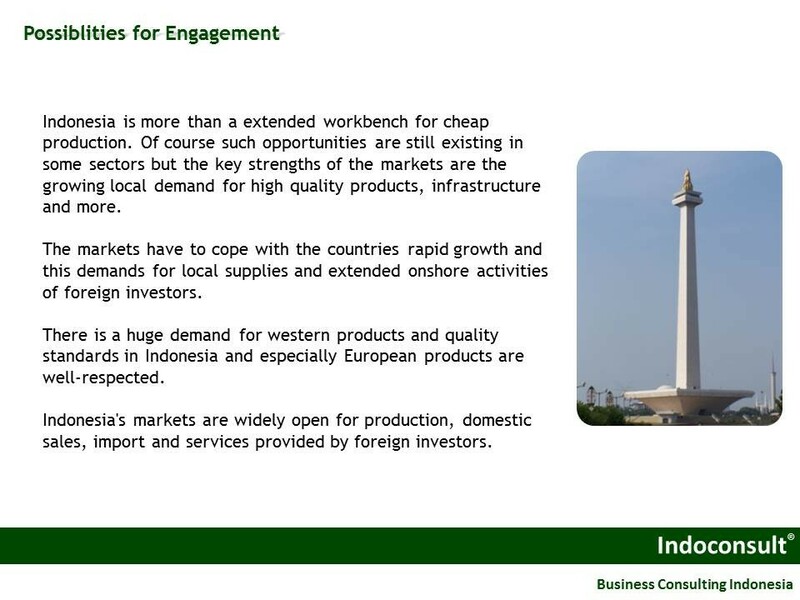 The following presentation gives an overview about business in Indonesia. 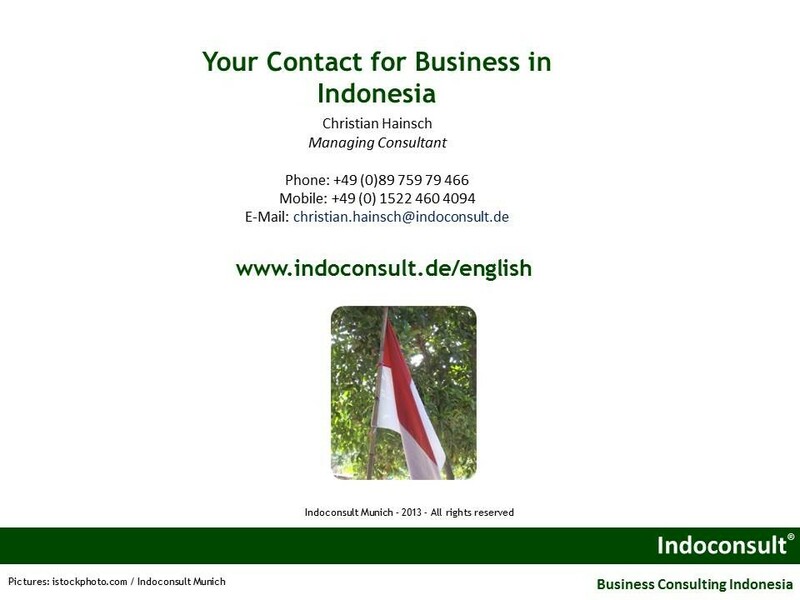 Our Experts are also available giving this presentation at your company or institution. 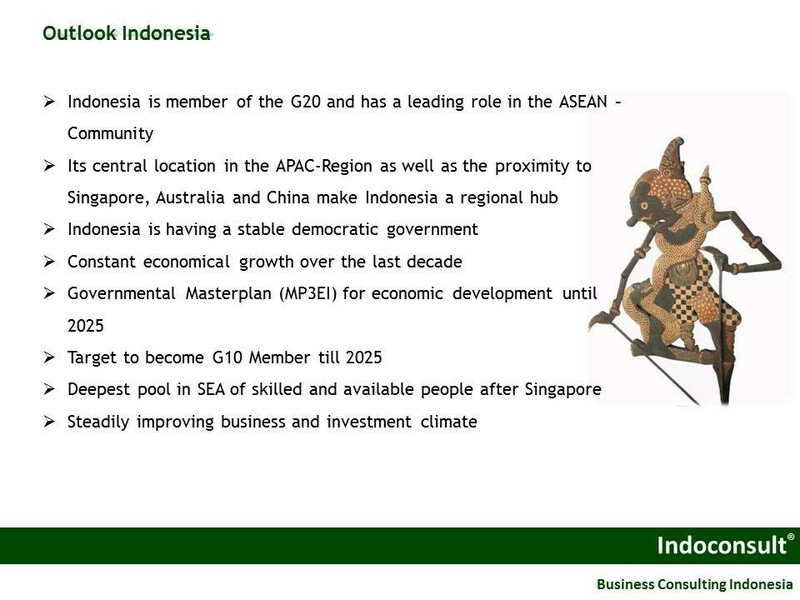 For more information please feel free to contact us.